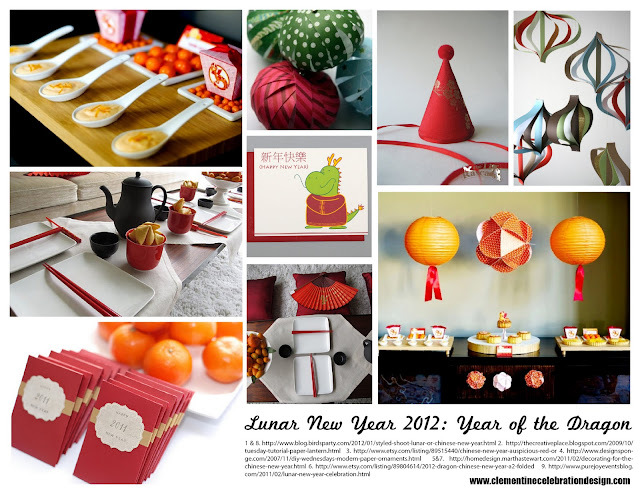 As many of you may have heard, this Sunday is Lunar New Year's Eve, aka Chinese New Year. What's even more exciting is that 2012 is the year of the Dragon, which is my year! Know what that means? I better make it a good one. I'm excited to make some of the key New Year items by hand this year, for lack of local retailers. An unfortunate reason to have to do it, but a great opportunity nonetheless! I'll be in touch tomorrow with an extra special DIY.